Adoption Story: I Knew Immediately She Belonged! 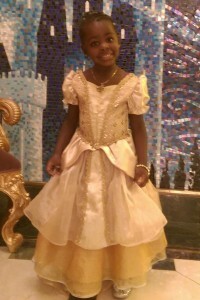 Home / Adoption Stories / Adoption Story: I Knew Immediately She Belonged! I welcomed these challenges because there will be issues that come up with biological as well as adoptive children. That is simply a part of parenting and that’s what I signed up for. We are excited to introduce Ian and Candace from Washington State along with their three children, Aidan, Donovan and Aiyana. Aidan and Donavan are biological children after extensive fertility treatments and challenges. 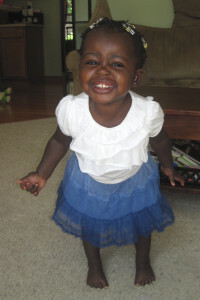 Aiyana was adopted from the Democratic Republic of Congo in 2011. She was just over six months old when she came home. I dreamed of adopting children, particularly from Africa, from a very young age. Very early in my relationship with Ian, we talked about adopting children. He was supportive and excited about building our family through adoption. My undergraduate degree was in International Studies with a concentration in francophone Africa. I spent time doing research throughout in Mali, West Africa, and fell even more deeply in love with the varying rich cultures, languages, food and beautiful people. When the time was right for us to adopt, we looked for programs in Africa with great need, but little exposure. Congo was quite simply the perfect fit for us. We had actually worked with two other agencies before working with MLJ Adoptions and you wouldn’t believe the difference. The first agency we worked with lied to us about how the program (a pilot program in West Africa) was progressing. The second agency (also working in DR Congo) failed to tell us anything at all – just that things were “moving along,” but nothing ever happened. For over two years, I felt horribly discouraged and heartbroken because I simply wanted to find my daughter and bring her home. Finally, I called Congo Program Director Sonja Brown and instantly had a different feeling about her. She genuinely wanted to help me and my family. She gave me hope in a why I hadn’t felt previously. I certainly wish it hadn’t took me so long to find MLJ Adoptions, but I think having my prior experiences made me appreciate everyone there that much more. The first time I saw Aiyana I knew she was mine and that we were meant for each other. She snuggled right into me and we’ve been inseparable ever since. When my boys first met their sister, they couldn’t get enough of her. They had spent months carrying her picture everywhere with them – to eat breakfast, go grocery shopping, to preschool, etc. They loved her long before she arrived. My husband and extended family were equally as excited about our daughter’s arrival. The love and support of our friends and family was wonderful. The first few months home had some challenges because my daughter had some serious skin issues, a few developmental delays initially, and some nutritional issues. These issues were all easily addressed. I actually welcomed these challenges because there will be issues that come up with biological as well as adoptive children. That is simply a part of parenting and that’s what I signed up for. 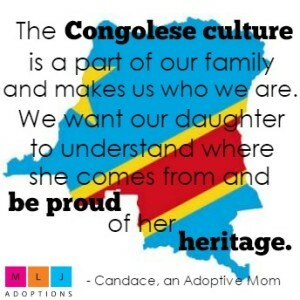 The Congolese culture is a part of our family and what makes us who we are. We want our daughter to understand where she comes from and be proud of her heritage. I speak some Lingala with her. I take great pride in doing my daughter’s hair and love how proud she is of it. I also really enjoy cooking African food. What gives me the greatest joy though is seeing how all three of my children unknowingly show people the pure unconditional love that can come from international and transracial adoption. What I can’t reiterate enough to families in the middle of the adoption process is to have faith. The adoption journey can be an emotional roller coaster, particularly since things can change at any point in the process. When so much of your heart and soul is invested in this process, it is difficult for things to be beyond your control. Just have faith that you and your child will find each other and know that, wherever your child is, he or she is dreaming of you as much you are dreaming of them. After three failed adoption processes, our spirits were down and our emotions shot. Although we had signed on with MLJ Adoptions, completed our dossier, and were waiting for our referral, our family still needed a bit of a pick-me-up. We went on a Disney cruise for a dose of pixie dust. Our daughter was born as soon as we got back home. It seemed like that was just the bit of magic we were looking for and everything worked out the way it was meant to be. We have gone back for an annual dose of pixie dust every year since to celebrate our family and how fortunate we are to have each other!